These flowers caught my attention today. They were growing on the side of a neighbor's house. 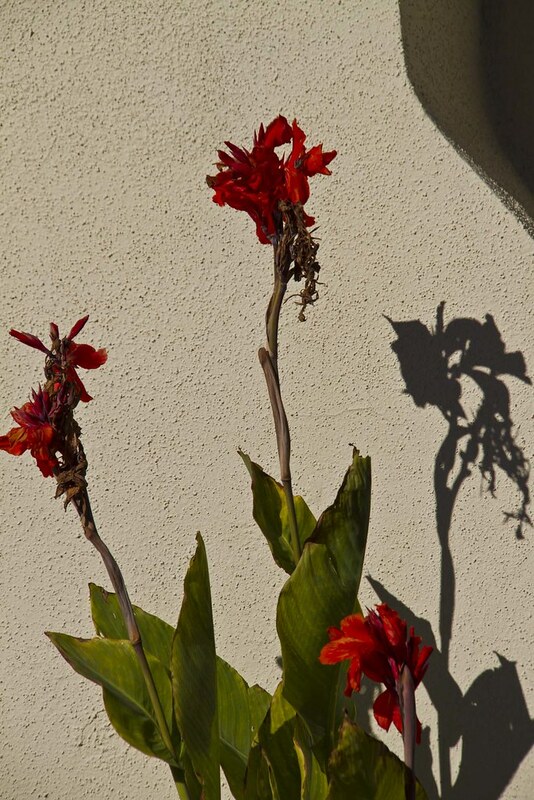 There was something about these red flowers, it was almost like they were celebrating the warmth of the morning sun. They seemed vibrant with a "happy personality." ~ Henry Ward Beecher, Star Papers: A Discourse of Flowers. I love the sharply vivid shadow on the wall!